When you have a large family like mine, finding accommodations is usually a challenge. Most family-oriented resorts usually provide rooms with maximum occupancy of 4 people: 2 adults with 2 kids. Rarely do we find rooms which will accommodate a family of 6. I discovered early on that it's cheapest for us to find a room or suite that will accommodate 6 people in one room. 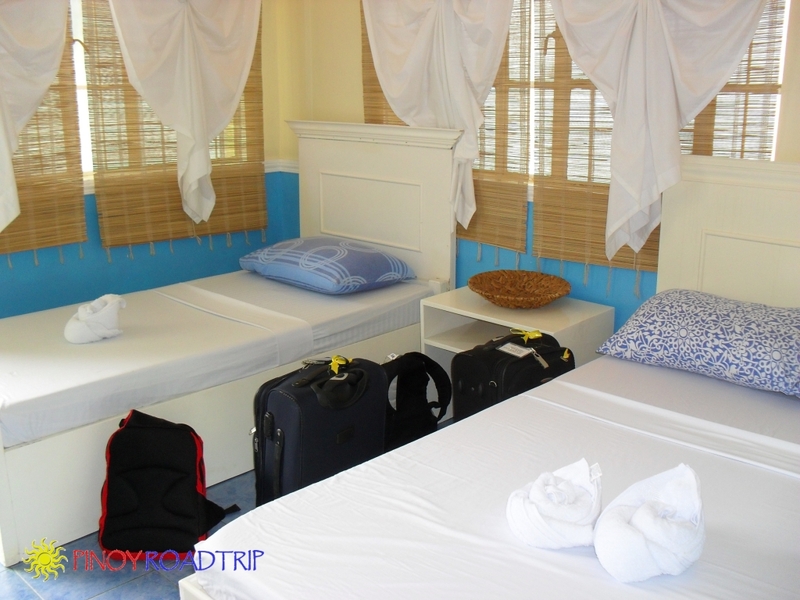 At El Nido, we cannot find one room that will accommodate 6 people. So we had to compromise and get 2 rooms. Marina Garden has interconnecting rooms. However, I decided not to get the interconnecting rooms because they have no windows in front and a terrace to lounge in. So we decided to get 2 separate rooms. This means 2 television sets and 2 toilets. My tip: If you have small kids, it will be more convenient to get interconnecting rooms. I have teenage kids and pre-teens so it's alright to get 2 separate rooms. They like being alone together in 1 room and they have separate TVs and toilet from ours. A resort is the best one in town for a family of 6 like mine if it has a good location, reasonable rates, and clean rooms and toilet. This makes the resort value for money. Marina Garden Resort satisfied these criteria but surprised me even more with the additional amenities included in the rate. This makes the resort not only perfect for families, but also for couples, and single travellers. Marina Garden Resort is right in the middle of town and right at the beach front. 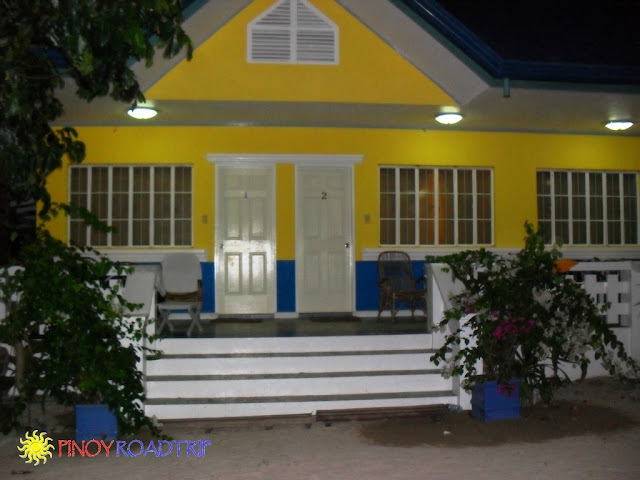 The advantage of being in the middle of El Nido town is that you are within short walking distance of restaurants, groceries, the pharmacy, the church, the police station, and island hopping tour offices. The beach front of Marina Garden is wide. At low tide, you can swim up to 200 meters from the shore and the water will only reach 4 feet. where we can still stand. I estimate that the depth at that distance is just 4 feet. 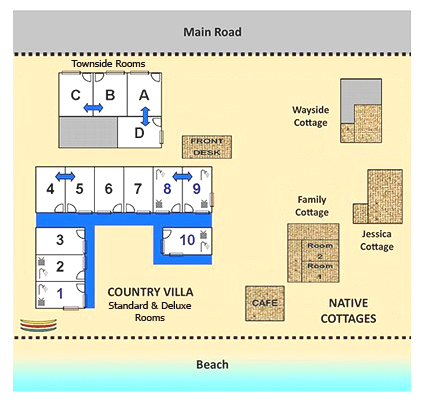 Below is a map that will show you the location of Marina Garden and what is near the resort. Rates are very reasonable. 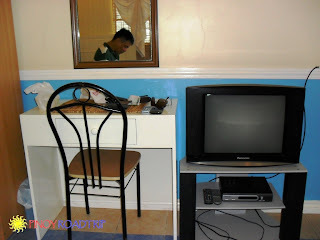 For 6 people we spent only P5,140 per night for 2 rooms, inclusive of breakfast for 6. Maximum capacity of deluxe rooms is 4 people. 200 per person in excess of 2 persons in a room, rate inclusive of mattress, not including breakfast. Breakfast for the extra person is at 120 per head. 1. Rooms are located right on the beachfront. 2. Rooms are clean and large enough for the published maximum capacity of 4. 3. The beds existing in room 1 and 2 is one(1) double bed and one (1) single bed. 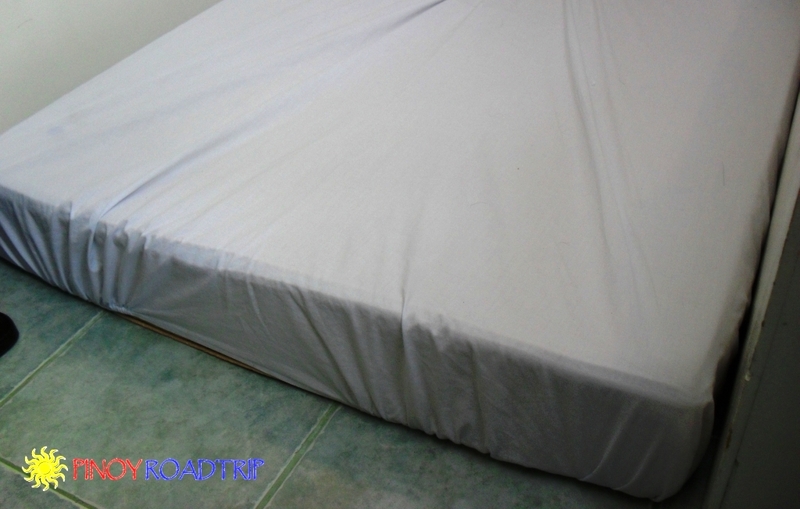 They add an extra mattress in the middle if the occupants will be 4 people in a room. 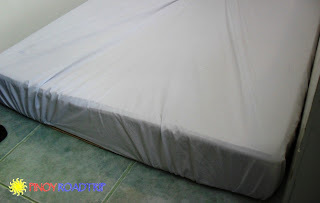 Mattresses are thick and comfortable. My tip: For a family of 6-8, book room 1 & 2. It's near each other, has the same amenities and a longer terrace. By booking room 1, you even have a corner terrace that makes the area private and exclusive for you to lounge in. Toilets are clean, with hot and cold water. The management had the foresight to put in hooks instead of 1 large towel rack. It was very useful when you have to hang a lot of wet things. 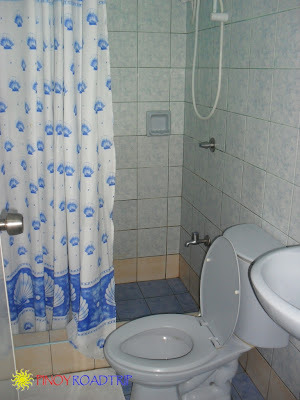 I also like that there is enough space on top of the toilet bowl to place your toiletries so everything is orderly and you can feel at home. There's also a pail and "tabo" or water dipper, which is usually not provided in other resorts or hotels. 1. Satellite TV via Dream Satelllite. 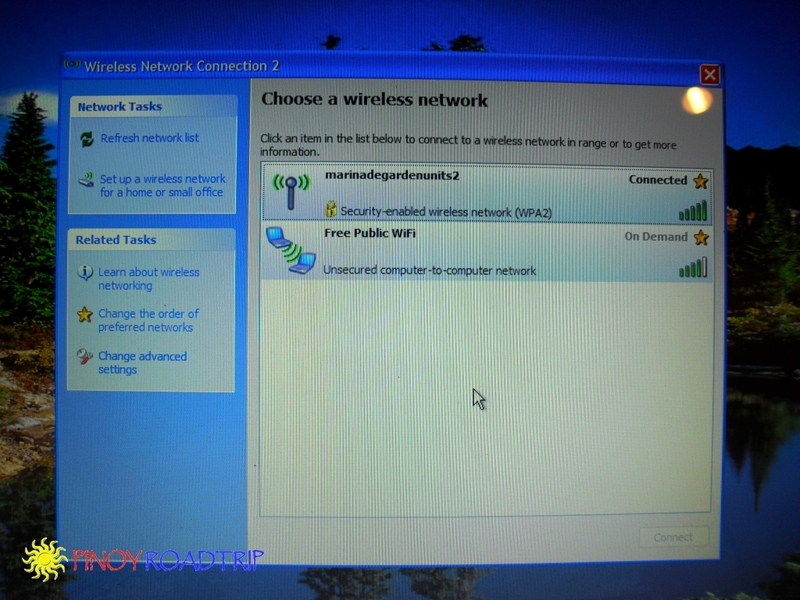 The satellite TV provider is Dream Satellite so you have all the local channels, HBO, CNN, etc. If you want to watch ESPN Sports, have a meal at Squidos and watch games there. Squidos is 1 minute walking distance from Marina Garden Resort. The signal is strong. It reaches the beachfront so you can use the lounge chairs and browse the internet while on the beach. The connection speed is fast. The wifi router is on even during the daily brownout schedule of 6am-2pm. So you can browse the internet during those times if you're just bumming around the beach near the resort and not on island hopping tours. The complimentary breakfast is only for 2 persons in a room. 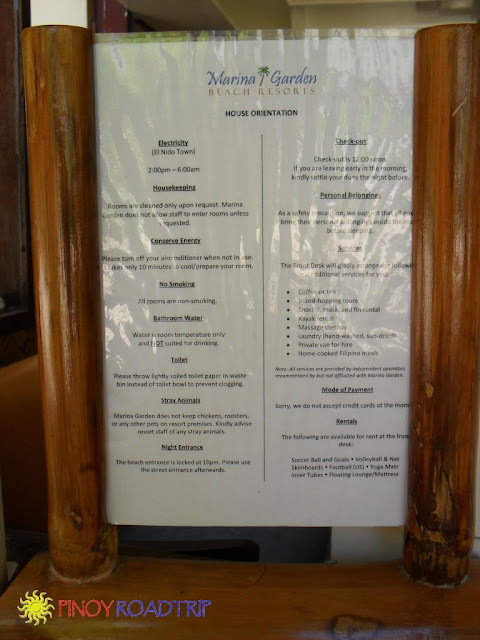 You are given a choice (as shown in the menu below) of Continental breakfast, American breakfast, Filipino breakfast, Omelet, Pancakes, Fruit Plate. Drinks that are included in the free breakfast is a 3-in-1 Nescafe instant coffee or Milo. 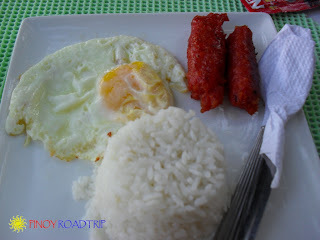 I personally tried the American breakfast, Longsilog and Omelet and they were all great. My 15-year old son ordered extra because he found the portion size small. As you can see, the selection is plenty enough to cater to all tastes. I like the selection because all my kids found something they liked. The resort has a small cafe that serves all-day breakfast from 6am-9pm. This is where we take our free breakfast. Since this is just a small family-owned resort, I understand how difficult it is for the owners to provide a full-service restaurant. But they still opened a small cafe for the convenience of their guests. If you're hungry and do not want to go out, the meals provided by the cafe is a convenient option. They are cooked fast and and immediately fills your appetite. By opening this small cafe, the resort owners showed consideration for the comfort of the resort guests. 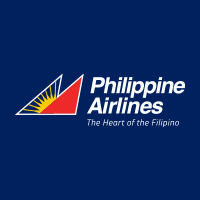 This is all apparent by the way they conducted their service and provided the amenities. Booking is easy. They reply immediately to emails. They give prompt and good service when we arrived at the resort. We didn't encounter any problem with them. Regarding housekeeping, the staff do not clean the room until you request it. They don't want to intrude into your privacy so they don't enter your room until you make the request. But once you make the request, they immediately clean the room and change towels. These are the Marina Garden house rules. I booked Marina Garden Resort a year before our trip to get the rooms I wanted. They only have few rooms so it gets fully booked early. I didn't think 3 months before the trip will be enough time to book this resort. 2. The best rooms are room 1 and 2. At night, Marina Garden is well-lighted. Room 1 and 2 are beside each other. The terrace in front of the rooms are wide and exclusively used by us. They are beside each other and both have the same amenities and have a maximum capacity of 4 persons each room. If you book these rooms, you have a corner terrace and a larger front terrace exclusive to your group. These rooms are just a few steps from the beach.